CDKEY-HUT.COM offers a wide range of Steam, Origin and uPlay codes as well as keys for CDs and Xbox 360. It even features a casino built into the BitShop framework! A great example of what can be achieved with BitShop. 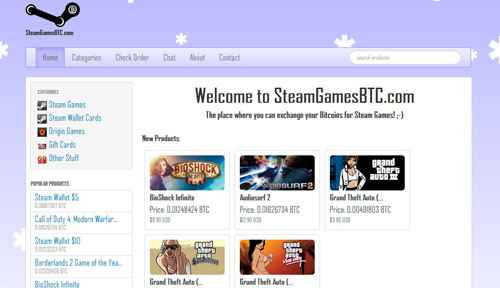 STEAMGAMESBTC.COM sells a range of popular games for Steam and Origin along with Steam Wallet Cards, Xbox Live Gold Membership Cards, and other types of gift cards. CODESFORLESS.COM will provide a range of vouchers and gift codes including Prepaid VISA and MoneyPak. 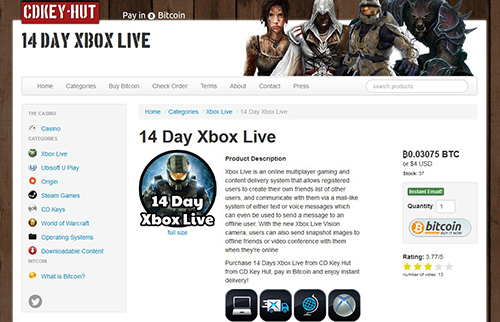 It is not operational and taking orders yet but it does demonstrate the use of a custom bootstrap theme with BitShop. 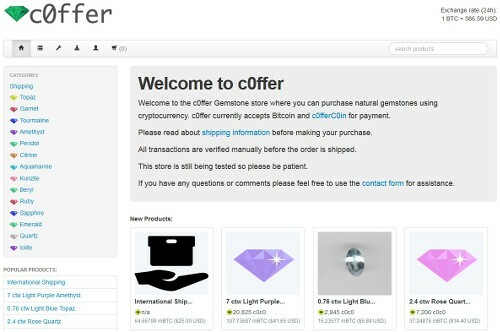 c0ffer is a Gemstone store where you can purchase natural gemstones using cryptocurrency. c0ffer currently accepts Bitcoin and c0fferC0in for payment.